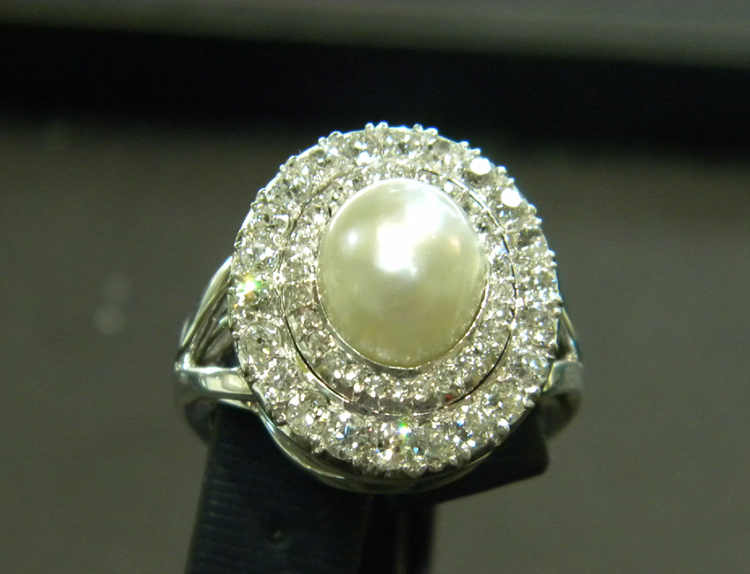 A diamond and pearl pin found by Allied forces in Germany buried to protect it from the Nazis, transformed into a stunning ring. What a lovely way to revitalize such a sentimental piece of jewelry! Do you have a family heirloom that doesn't quite fit your personal style? Give us a call today and our friendly staff will happily discuss options with you. Or better yet, stop in to our Central NY area store today and see what kind of magical transformation we can perform for you!